Alex and I don’t ‘do’ relaxing holidays. 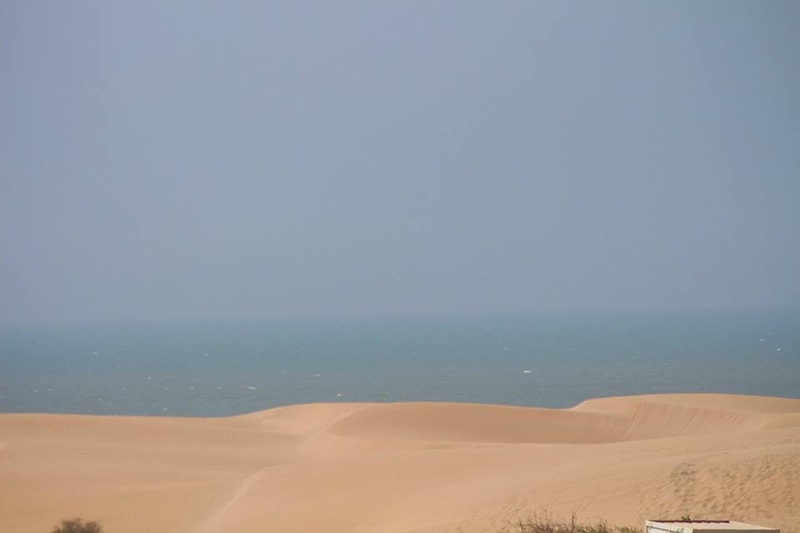 We tried once when we booked a package deal to The Gambia in West Africa but we failed, spending minimal time in the resort and maximum time exploring the local villages. 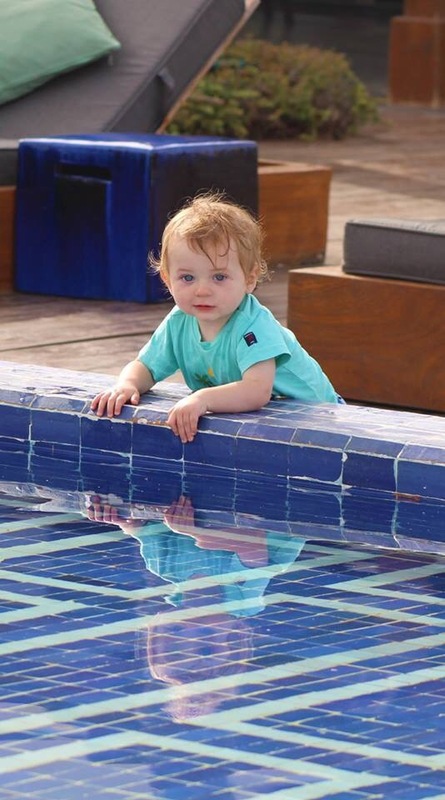 However with a one year old in tow, we thought we should at least give relaxing another go. 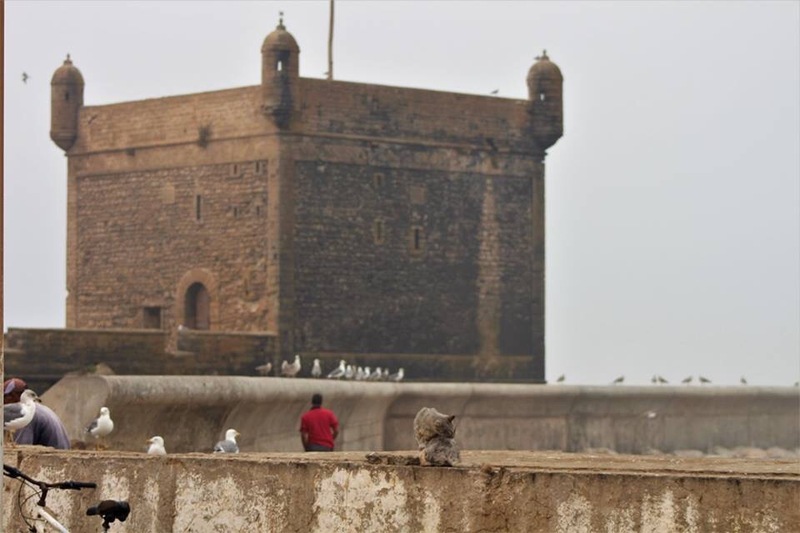 Not wanting to totally expel our sense of adventure, we opted for a trip to Essaouira, Morocco. 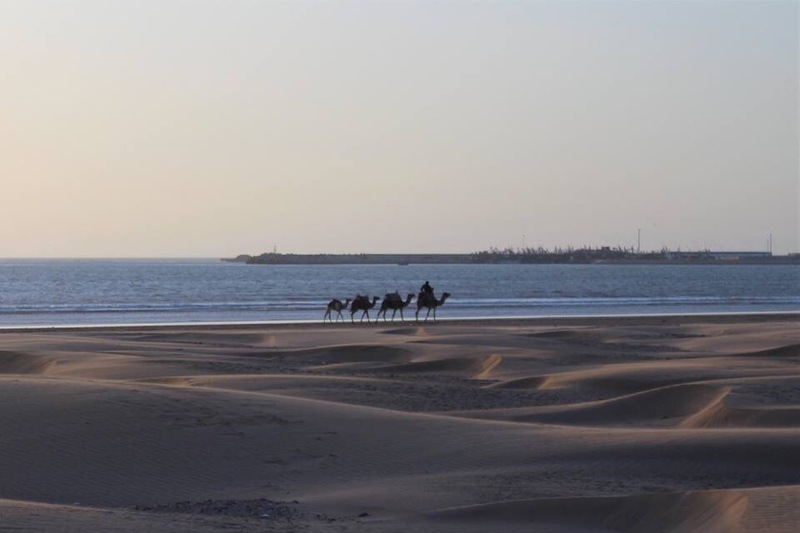 Situated on the Atlantic Coast of Morocco, Essaouira is approximately a 3.5 hour flight away from London making it the perfect location for a short or a longer break away. 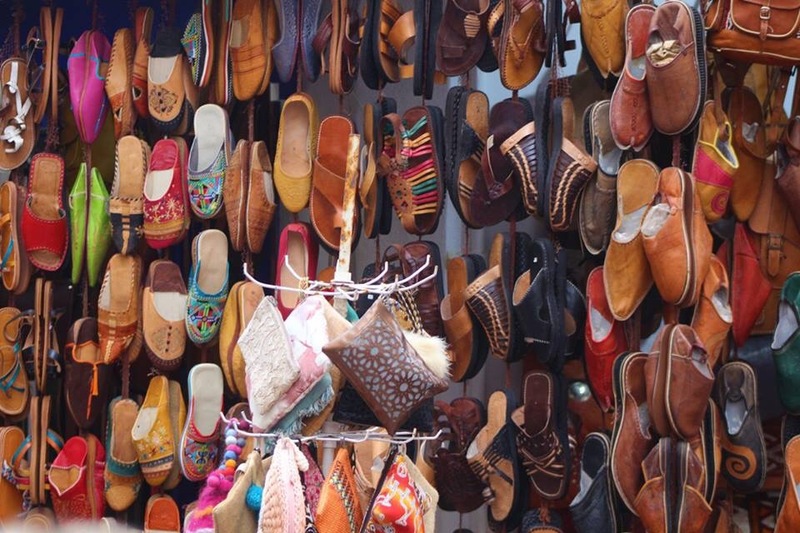 Flights from London Luton go direct to the town’s small airport or you can fly into Marrakech and make the 2.5 hour journey by road to the coastal town. We flew from Luton which, with hindsight, was a mistake. Extensive works at Luton at the moment mean flying from there is not fun with few seats to sit on or places to eat. 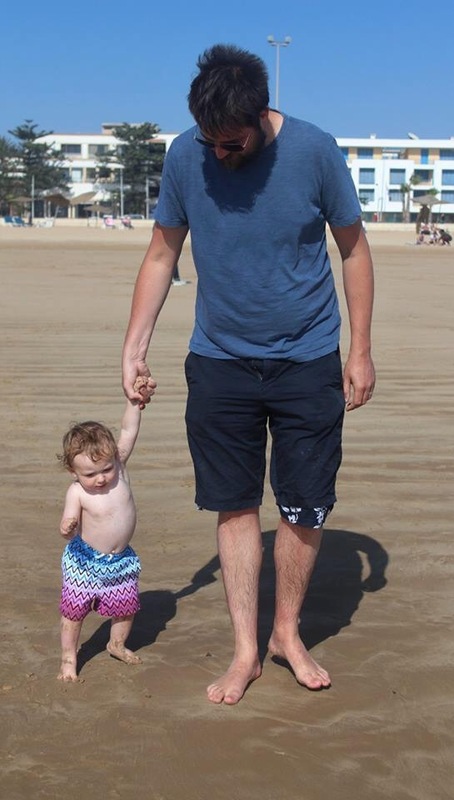 Not ideal when you have a small child who would like to crawl off into the sea of people. Never the less, we flew from Luton direct to Essaouira with Easyjet who were absolutely fabulous. Before leaving, I read something online where someone had written ‘Easyjet are awful to fly with before children but fabulous after’. While I had never had a bad experience flying with them previously, they were indeed fabulous on our trip. 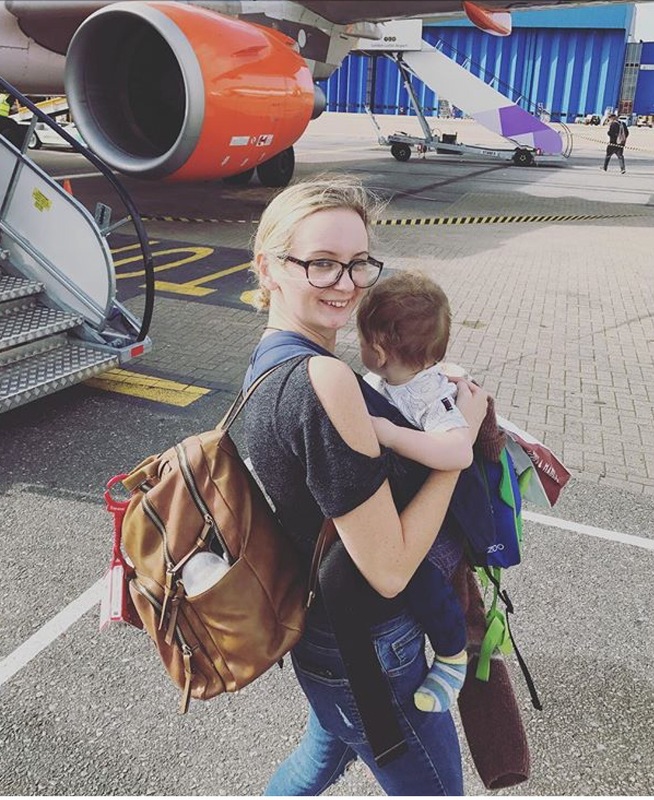 They weren’t concerned about the fact we had an extra bag or two hand luggage, they allow families with those under five to board with those who’ve paid for priority boarding and even dimmed the lights in the back galley of the plane when they saw me swaying my son, Vincent, back and forth in our sling to get him to sleep. We chose to stay at the Sofitel Essaouira Golf and Spa Hotel. This was a decision we really struggled to make. 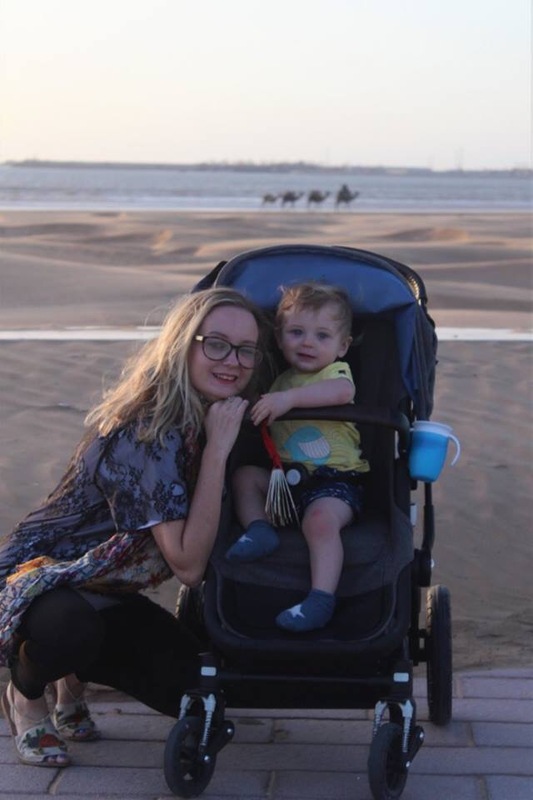 While the 5 star hotel looked brilliant, it was situated outside the centre of Essaouira and having never travelled abroad with a baby before, we didn’t know if this was a good thing or a bad thing. It turned out to be a great decision. We had stayed in Sofitel’s before in London, Mumbai and Bangalore but this was pre-child. 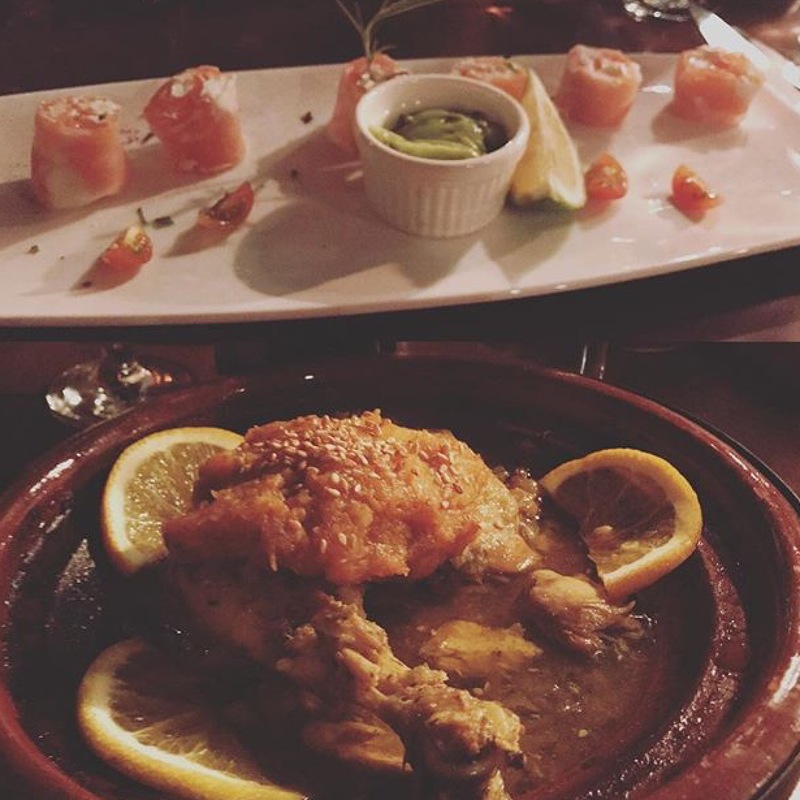 We had a great time and were always given top class service and this is something that seems to continue even when you have children. The staff were all a real credit to the hotel, they were polite, friendly and helpful to all of our needs and everyone always made a special effort to chat to Vincent which he loved. Before we arrived, we had no idea that the hotel would feed Vincent for free, 24 hours a day. It was a huge benefit as it meant he could try a bit of our food at restaurants but if he didn’t like it or wanted to eat at a different time, we didn’t have to worry about what to feed him. 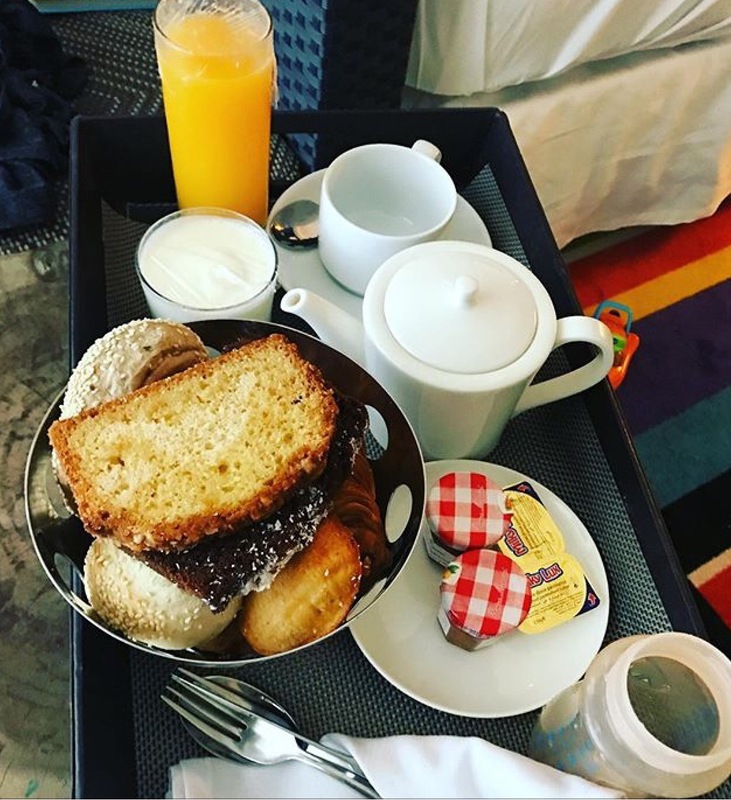 For breakfast they brought him a selection of breads and pastries, orange juice and yogurt. Lunch and dinner tended to be grilled chicken or fish with vegetables, while he was delighted to be given banana (his favourite fruit) to snack on. He could also have warmed milk whenever he wanted. We were truly thankful this service was offered, as it really took what could have been a large stress, out of travelling. My only criticism of the hotel is that it needs to be maintained better. For example the wood near the pool needed re-staining, there were scrapes on the floor to the bedroom where furniture had been moved and the shower door did not close very well. We were told by others that this was common across all rooms and while it didn’t take away from the great stay we had at the hotel, these are things that you really expect to be sorted in a 5 star hotel. We loved exploring the medina. Vincent now has the nickname ‘medina baby’ as he enjoyed being there so much. 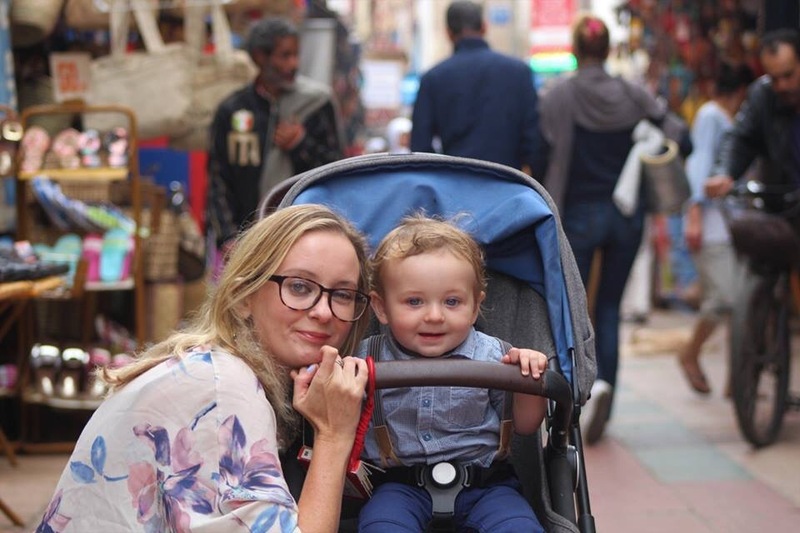 All the sites, colours, smells and sounds were so new to him, he sat bolt upright in his pushchair as we weaved in and out of the little lanes, taking in everything he saw from the shops selling rugs and tableware, to the cats sprawled out on the ground every few yards. 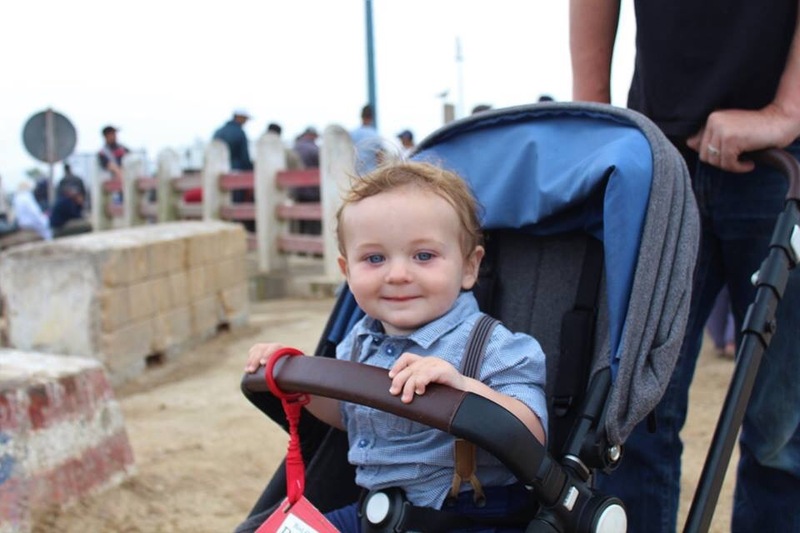 He was delighted when complete strangers smiled at him then came over to give him a hug and a kiss while speaking to him in intriguing languages that he couldn’t understand (Arabic and French). 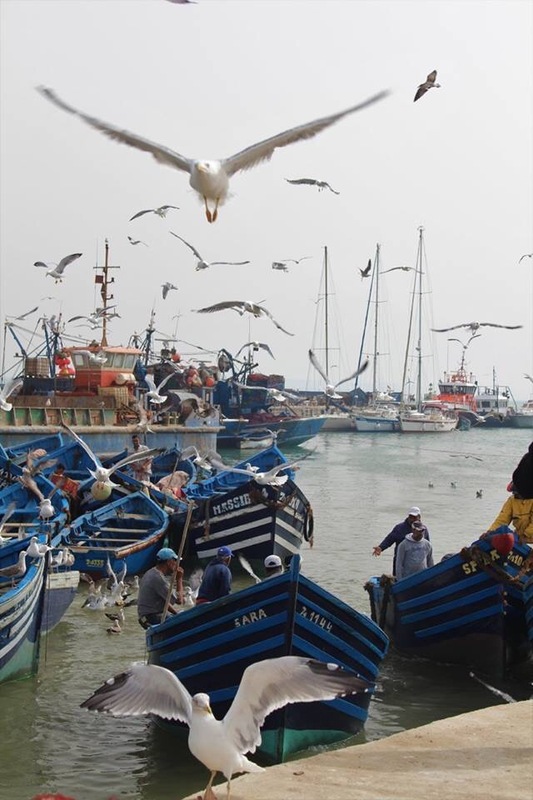 The fishing port is a bustling area of Essaouira and is well worth taking a look at. It’s great to see the fishermen coming in with their catch and little stalls set up along the roads where people can come and buy the fresh fish. While we were there, filming was happening for a new CIA drama, 40 North which added to the bustle as cast dressed in traditional Islamic clothing walked around, while film crew complete with a tonne of equipment tried to keep filming on track with random fisherman, tourists and other passers by stopping to see what was going on. The port is something of a popular location for filming, with it also being the filming location for the home of the unsullied in Games of Thrones. Like with the medina, Vincent loved hanging out at the port because there was so much for him to take in that was different from the every day sites at home. 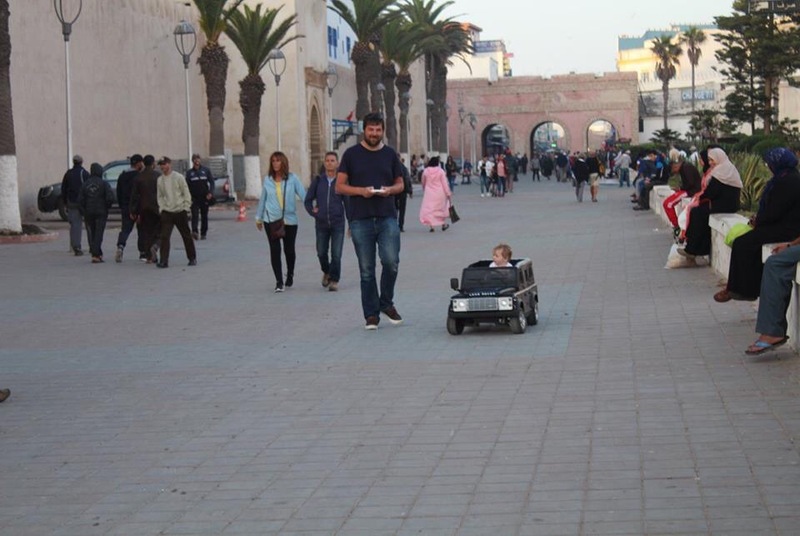 As you walk through the arches into the Medina, there will likely be four or five large sit on cars for children. We were a little confused when we first saw them as there was no one around who was the obvious owner. After a couple of days walking past them, we stood by them and waited for someone to come to us. Sure enough, a man appeared and told us it was 20 Dirham (a little under £2) for a 10 minute ride. 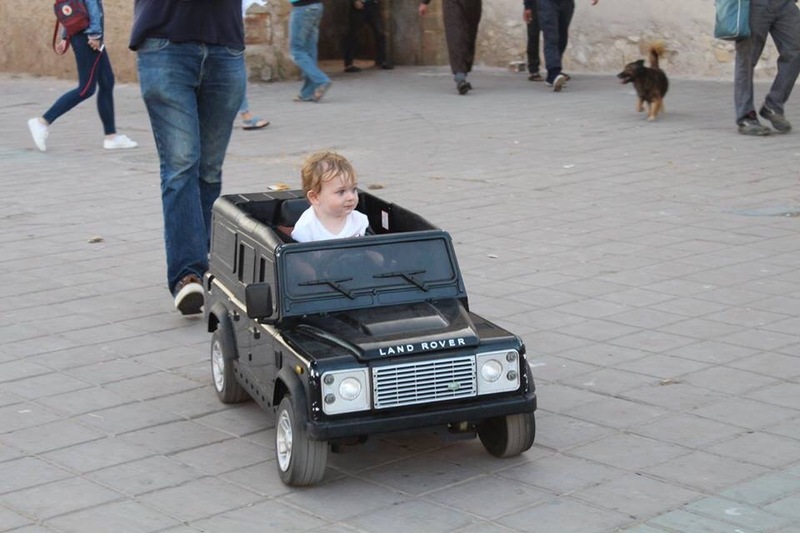 Being a car love, Vuncent was already scrabbling to get out of his pushchair and into the 4×4 so we accepted. It turned out all the cars had been wired up to remote controls so my husband, Alex was able to steer Vincent around the pedestrianised road, weaving him in and out of the people. Vincent was in his element and we thought it was great fun too! The seafront promenade is home to several bars/coffee shops and restaurants and is a nice place to take a walk. The Sofitel have another hotel along here which has its own beach front area. This was our favourite place to stop for a beer and a break on their comfy beds and sofas, while Vincent napped and we people watched. The beach itself was lovely but unfortunately did have some litter on it towards the back where visitors haven’t bothered to clear up. We did consider going for a swim but the sea was cold so we didn’t manage more than a paddle. For those who are looking for something more active to do, surfing, wind surfing and kite surfing lessons can all be booked on the beach. 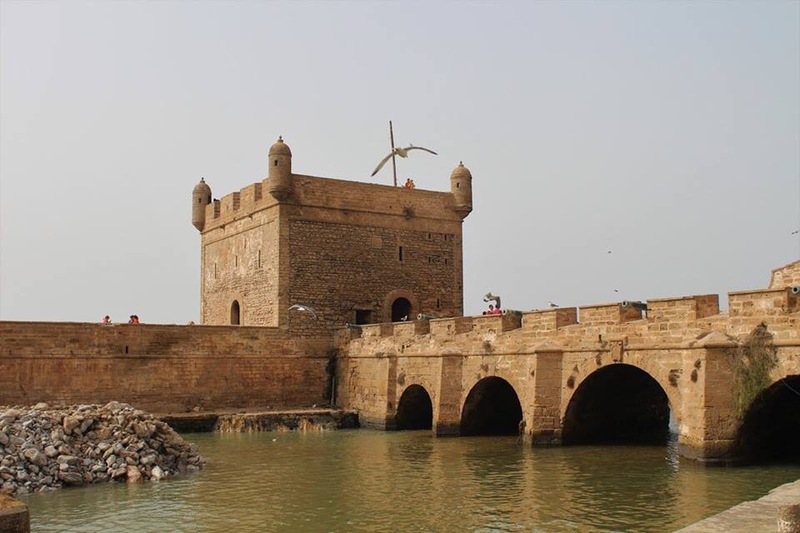 In fact Essaouira is perfect for these activities as it is such a windy town. While the beach in Essaouira is nice, the litter is something of a worry with a small child who likes to pick things up and wants to run around bare foot. However, a 20 minute walk through the grounds of our hotel led to the beautiful Moroccan sand dunes. The only other people we saw there were in the distance on quad bikes and a Berber man with camels offering rides. Vincent was a little young for this so we declined but he pointed out the best route for us to walk down to the sea. 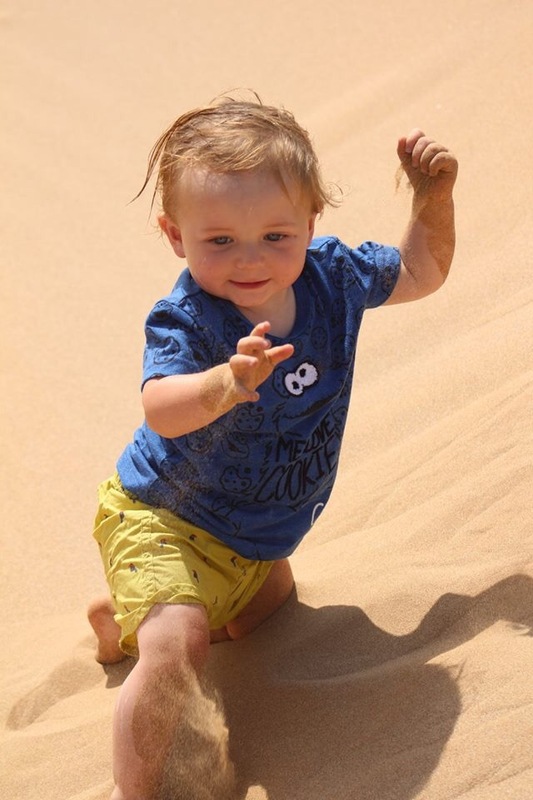 The sand dunes were great fun for Vincent. He crawled around, climbing up and down them and falling into the sand. He thought it was brilliant and it was an excellent way to burn off some energy. Note: the walk can be a challenge in the heat of Essaouira so bring water. 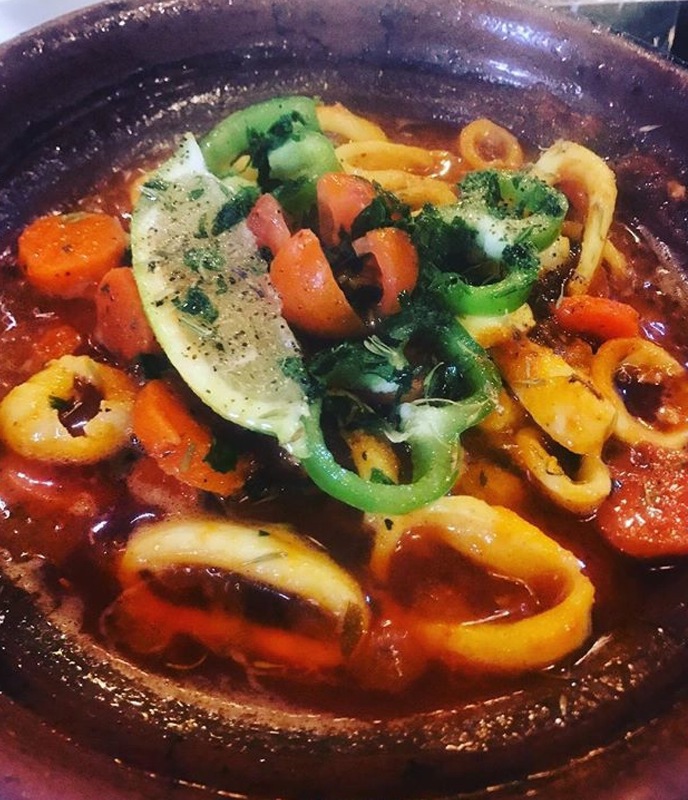 There are loads of great restaurants to eat at in Essaouira and everyone always seemed happy for us to bring Vincent with us. Restaurant Adwak which I must have recommended to at least 10 people once we had eaten there was our personal favourite. The takings were amazing. Alex had the chicken taking and I had the calamari. I can safely say I’ve never tried calamari so fresh. Restaurant La Tolerance was another great find. 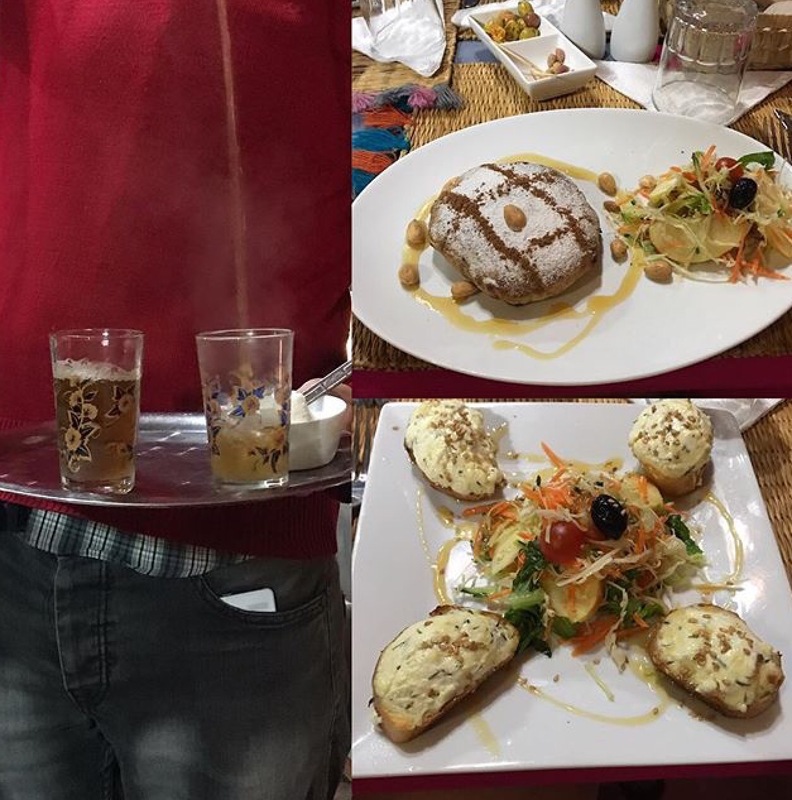 We had an excellent three course set menu which came with complimentary mint tea at the end. 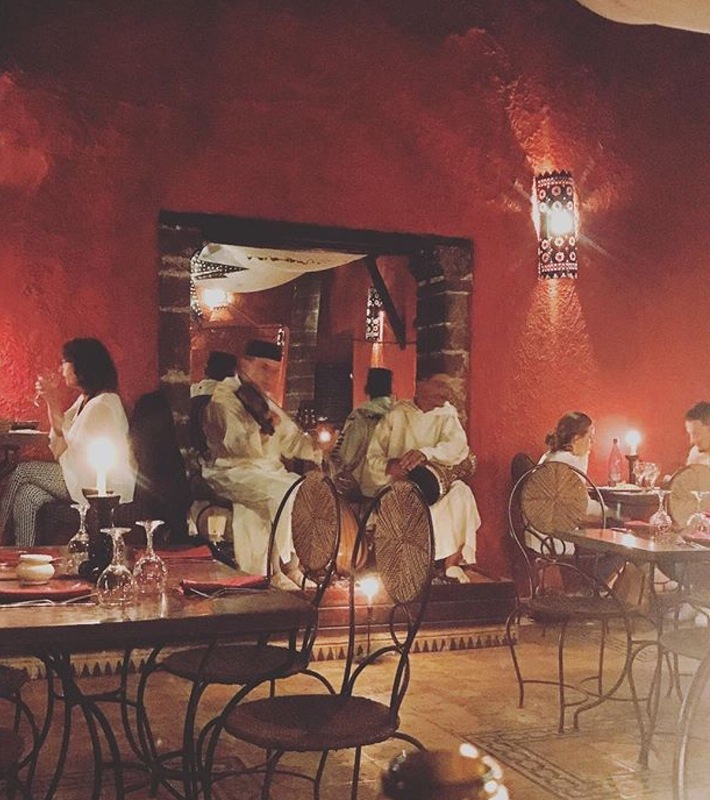 Le Patio d’Essaouira had a totally different feeling to the other restaurants. Where as the other two restaurants mentioned above were in cosy little buildings, Le Patio was in a much larger, open space but equally as inviting. Live music played throughout the meal and the food was superb. Most definitely. 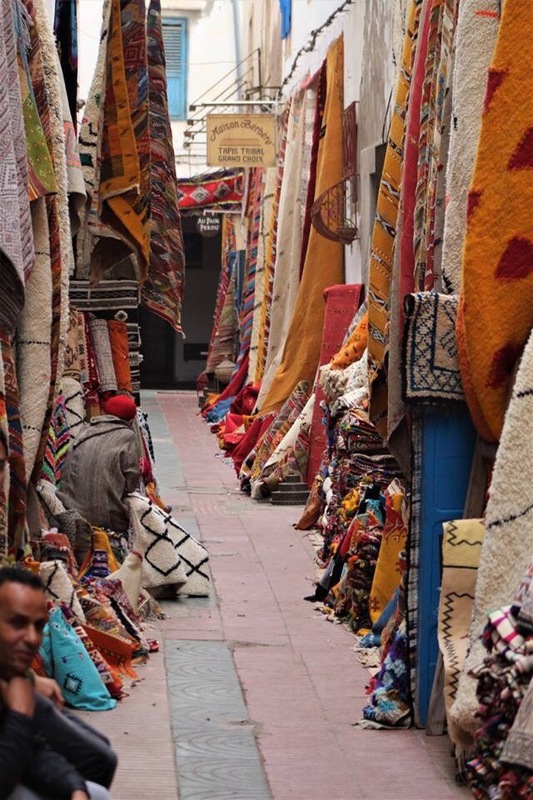 Morocco has such an interesting culture and is steeped in a lot of history. 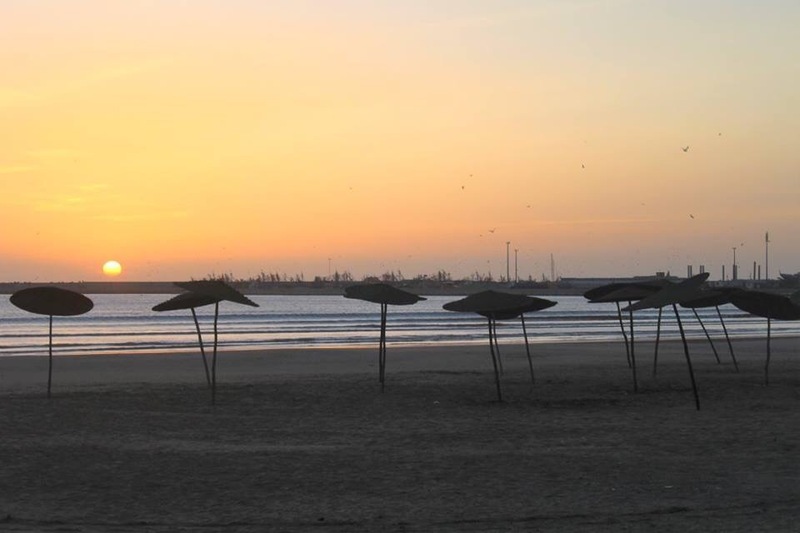 We would love to return and have a few days in Essaouira, before exploring more of the country.